I am still looking for more safety-trained volunteers for this event to ensure we have a safe environment for people to ride. This includes first response / emt / CPR / Lifeguard. At this point an active certification is not required, this is for increased safety response availability at the event. You might want to check out the boat ramps on the west end of the RR park. I'm pretty sure this time of year they are pretty useless as the cement ramps are not even covered with water in order to backup a trailer with a water vehicle. A different story in the spring when there is lots more water moving down the river. I think the next closest boat ramp is either Dalton to the east of the boat ramp at Blue Lake. I think it is called Chinook Boat ramp. Windance is in for supplying some prizes! Awesome that the local shops are supporting this local event! Stay tuned for more info as more sponsors come on board! At the suggestion of a certain Sasquatch, I took a few pics of the boat ramps on the west side of Rooster Rock's boat lauch...short answer is they look fine for a jet-ski entry. Saw 2 trailers suggesting fishing peeps were using them successfully. If i remember correctly though usually in October the water level drops to a point when you can barely pass a jet-ski through that channel off the boat ramp. Tue Sep 11, 18 7:06 pm Event Update! Event registration is online at eventbrite. Please register as soon as you can commit! 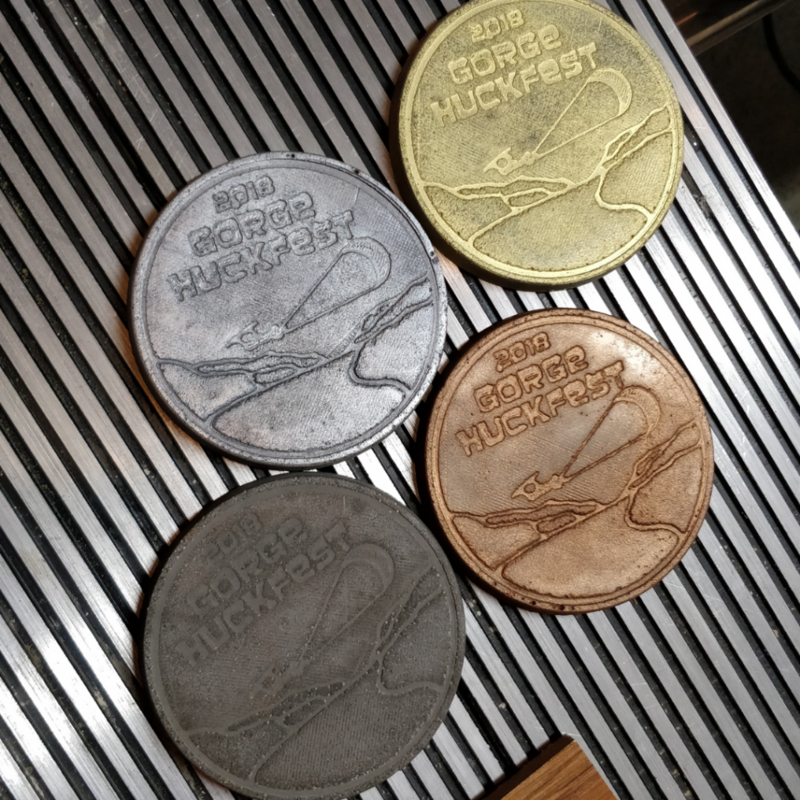 Every participant gets entry into the competition, Huckfest tee shirt, Huckfest coaster set, and raffle tickets to the prize pool! More sponsors are coming aboard to add shwag and other goodies to the prize pool! Long Term GFS is looking like Tuesday 10/2 might be a good practice day!!! *Update - I think I mis-read this. Arlington / 3 mile will be ripping on Tuesday 10/2!!! Gonna be an epic day! Perhaps the best day of the season. 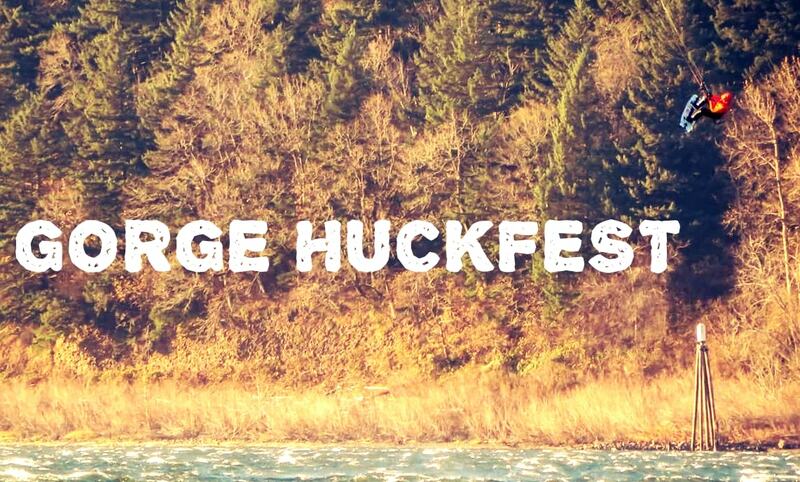 The 2018 Gorge Huckfest will officially take place on SATURDAY, OCTOBER 13TH. This event will be taking place at the STEVENSON, WA Kite Launch behind the port building/Jester and Judge. PLEASE ARRIVE by 9:30AM FOR REGISTRATION. 10:30-11:00 LOOKING TO START OUR FIRST HEATS! I will need some volunteers for help with raffle tickets, herding wayward kiters, and Announcement during the event! It is recommended to bring a jacket and some hearty food to this event. There are many food and drink venues in town, but event participants will not have a lot of time between heats! There will be snacks and water available (Clif bars, crackers, trail mix). PLEASE AVOID PARKING DIRECTLY IN FRONT OF THE LAUNCH AREA SO THAT WE CAN USE THE PARKING AREA TO STAGE KITES FOR THE NEXT HEATS!